Michael Hasting’s does a very fine job of describing the disconnect in Afghanistan. Although this book is non-fiction, it reads like a fictional narrative, and I wouldn’t be surprised if HBO tries to adapt this into one of their movies. This is because Michael Hasting’s was actually there listening to General McCrystal and his advisers as well as the soldiers who were actually fighting the war. 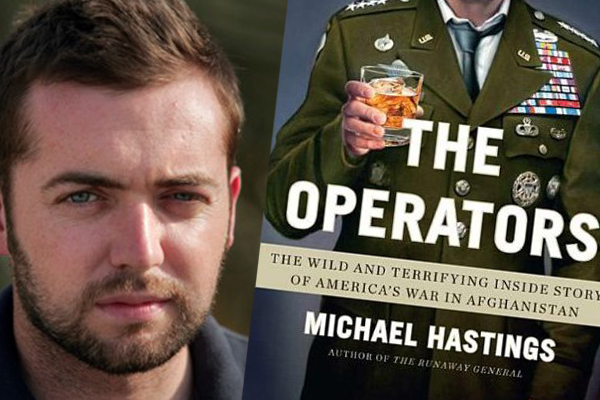 Michael Hasting’s writes with a style similar to fellow Rolling Stone’s Alumni Hunter S Thompson. In fact this book could easily snug up against Hell’s Angels and Fear and Loathing on the Campaign Trail. Here we see that the war which the White House wanted, the war which the Pentagon pushed for, and the war which the generals and soldiers were actually fighting were all completely different types of wars. The Pentagon and the White House were making battle plans based off of old counterinsurgency strategies which have failed in application countless times, yet they continue to use these tired strategies at the cost of lives and nations. It was interesting how the Generals missions became more about propaganda than it was effectively securing Afghanistan. However, this was largely due to the White House. They didn’t want to hear any information that conflicted with their political promises or anything that would make this war seem like a failure on the politicians part. This includes both Bush and Obama’s offices. In fact, Obama didn’t want to listen to any strategies which suggest any sort of nation building. Like Michael Hasting’s pointed out the operators were more concerned with being a rock star and getting the cover photo of Rolling Stone than they were of making any real plans. One of the saddest parts was when Hasting’s wrote down and compared what the soldiers thought of the Afghanistan police and military and what they thought about the United States Military.